After a hectic couple of weeks I’m back down to earth and back on schedule with my posts! 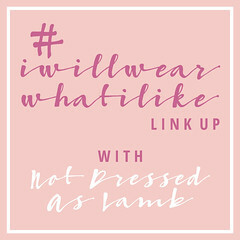 The #iwillwearwhatilike link up hasn’t been affected apart from there being no theme for a second week – next week we’ll be focusing on pastels so get your lemons, baby blues and pale pinks at the ready. 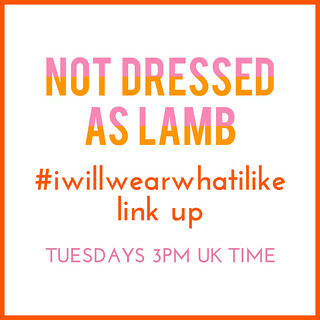 I’m wearing peach this week, but as a lover of all shades of orange right now that’s no great surprise…! 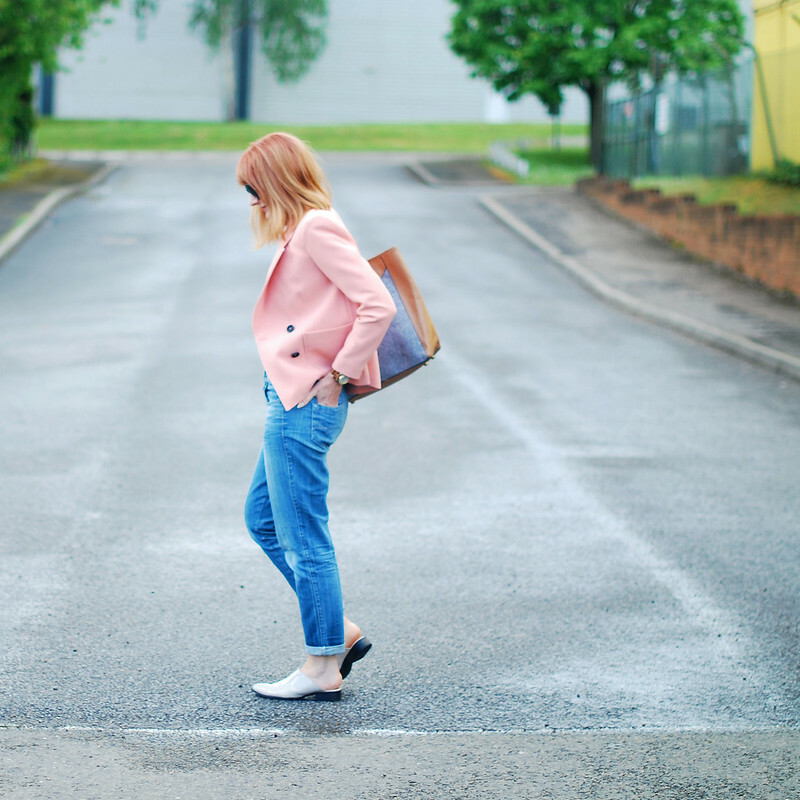 The peach jacket is just the yummiest colour ever, and for a day out involving breakfast then an early morning cinema treat the blazer/boyfriend jeans combo was the comfiest I could go for. Smart, but not over dressed. Casual, but not scruffy. This was basically the Goldilocks of all outfits. THE BLAZER/BOYFRIEND JEANS COMBO WAS THE COMFIEST I COULD GO FOR. SMART, BUT NOT OVER DRESSED. CASUAL, BUT NOT SCRUFFY. THIS WAS BASICALLY THE GOLDILOCKS OF ALL OUTFITS. 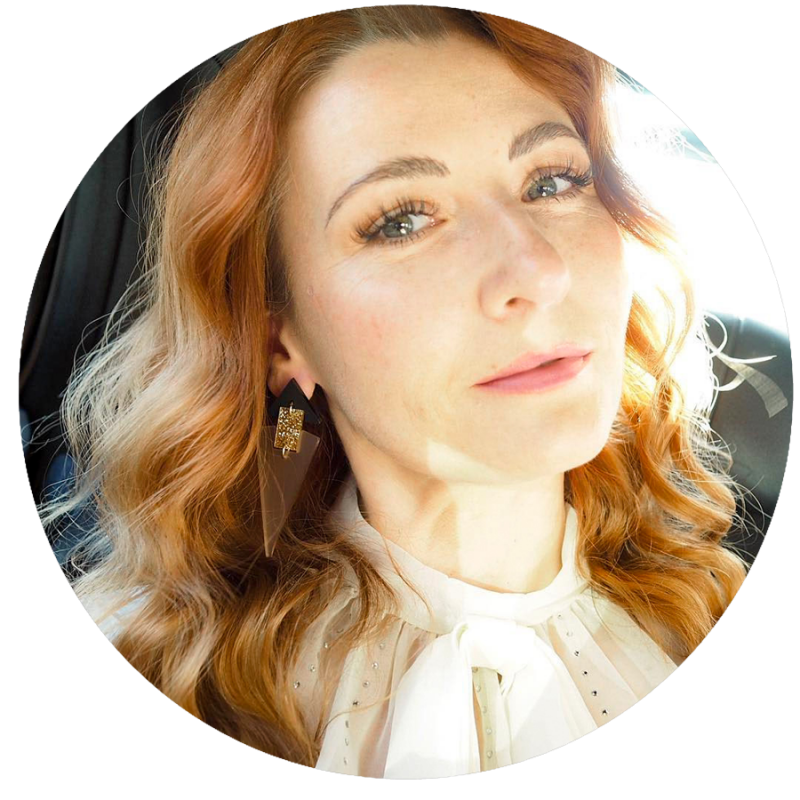 Some of you may know I was hosting a London blogger meet for the 30 and 40+ last Monday – it was an incredible success and I loved meeting so many of you that I’ve known online for a while as well as meeting a lot of lovely ladies I didn’t already know. 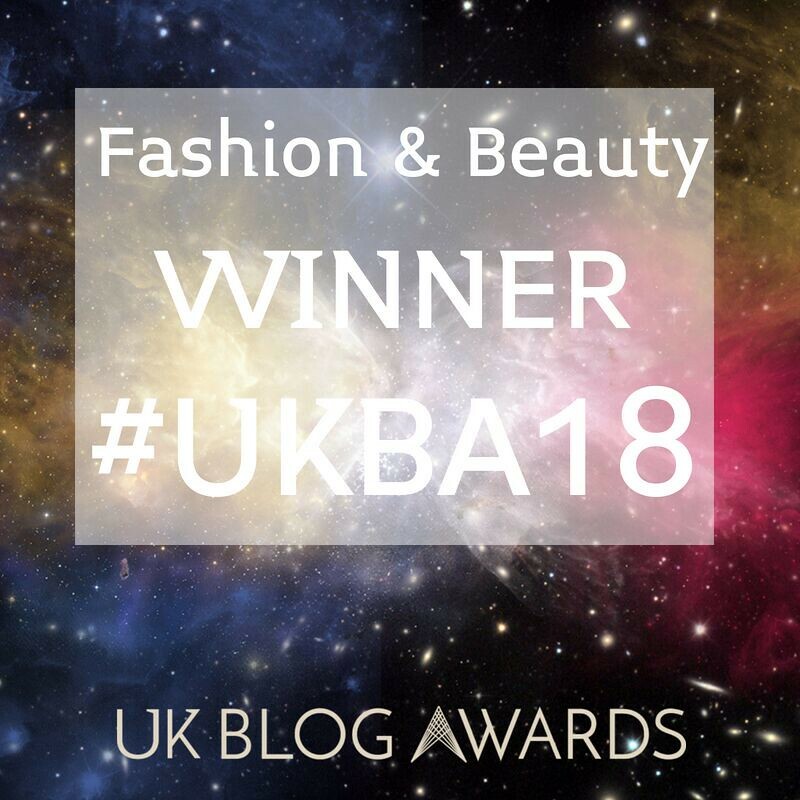 I’ll be writing up a post all about it with lots of photos on Sunday, I can’t wait to share them with you as there’ll be lots of familiar faces (especially from the 40+ blogging community)! 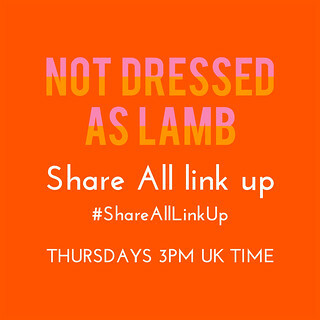 Scroll down for the details of how to add your outfits to this week’s link up – you may be featured next week (don’t forget to link to Not Dressed As Lamb somewhere)! WHAT’S YOUR GO-TO GOLDILOCKS OUTFIT (NOT TOO SMART, NOT TOO CASUAL)? COMMENT BELOW, OR TAKE IT TO TWITTER @NOTLAMB! I commented earlier my friend, but will reiterate, LOVE THE PEACHY JACKet! You pull off that effortlessly casual glam look that I just can't seem to manage! Is that jacket really from F&F?? A fantastic look that I will try to emulate! such an awesome blazer! I love how polished this outfit looks and your hair is amazing! 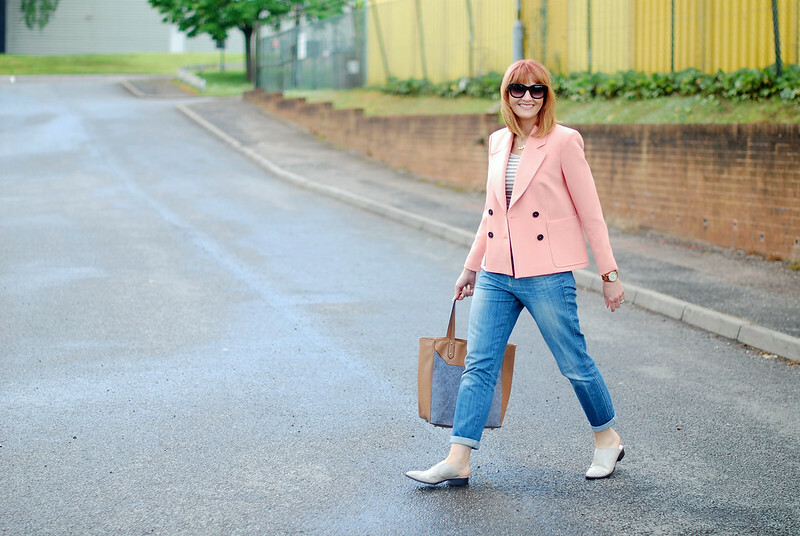 I definitely need to add a pale pink blazer to my list! Such a unexpected yet totally chic piece. Looking gorgeous as always! I am mom of two kids and wearing jeans is often my outfit paired with plain shirt and blazer. I like black boyfriend jeans as it is not easily get stained. Love your whole look! Adore that shade of pink, especially on you. It's the perfect compliment to your hair color. And, those shoes are fabulous! Very chic. Thank you for hosting and thank you again for featuring me on your Blogroll – so flattered! I do love that blazer…it looks really good quality. 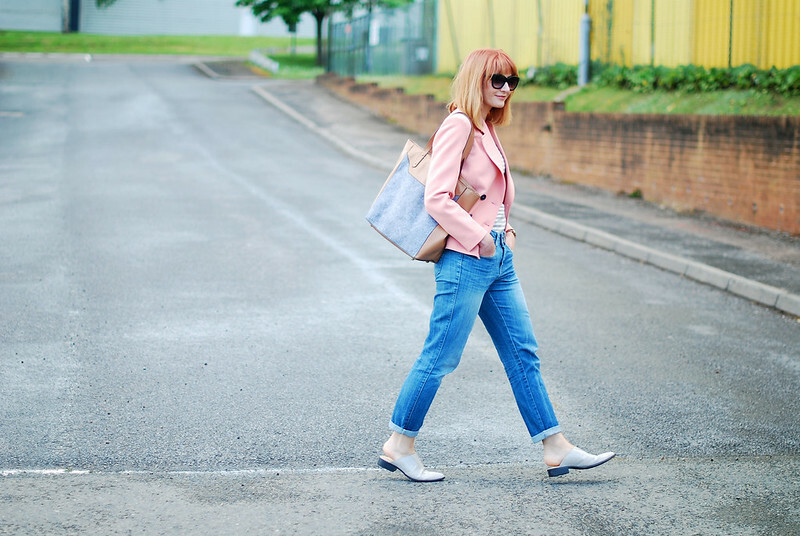 A smart blazer and relaxed jeans is one of my favourite combinations! Beautiful coat, love the whole look. Thanks for hosting a great linkup!! Thank you for the feature from last week. It was a fun mall challenge I had to do. I am in LOVE with your peach blazer. Darn! not an international site. Cie la vie! Love it with your hair and those white mules are perfect with this look. I need to wear my BF jeans more often, so cute with this look!>.Mavelous! Yes love this smart but comfy combo!! Come take a look at another outfit I am wearing for my latest collab with Los Angeles-based brand TOBI – I'm sure you'll love it! love the blazer! so beautiful color! love your shoes and simply I adore your jewelry! Looking forward to read your Sunday post! Still looking after Paloma and fetching baby from nursery. I forgot how hard it is, puffffffffffff. Your jacket is wonderful, and so you. I'm totally obsessed with the pink blazer! And you look fabulous! Strangely enough, peach has been calling my name too lately. I do love my bright colours, but I've been experimenting with some softer tones and I'm kinda liking the results. From what I read from Greetje, the blogger meet up sounds and looked like it was a great success. 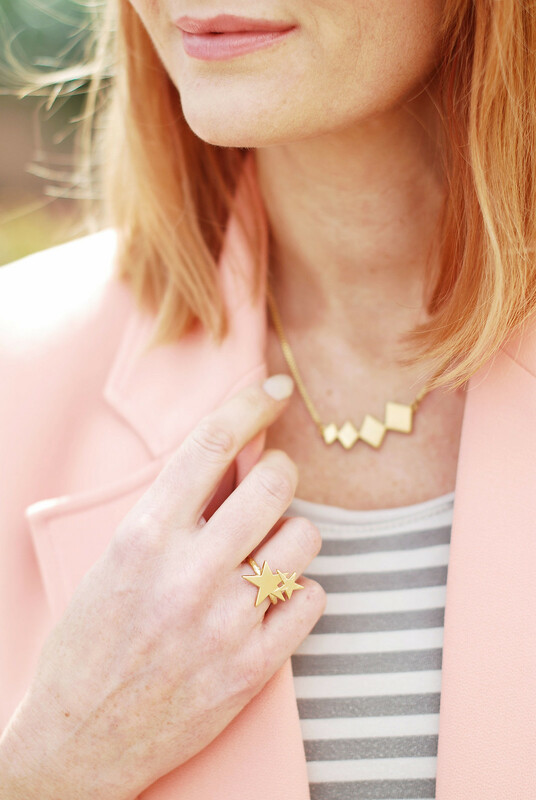 I adore this blazer and how you styled it! Catherine, you look so fabulous in peach!! My goldilocks outfit would (almost) always include jeans…maybe brogues, a fine knit, a great belt, an interesting bag plus a trench. That sounds like a great idea for an outfit post! You look beautiful here, that coat is a delicious shade on you and perfect for this smart casual look. I can't wait to read your post about the blogger meet. I am so sorry I could not come. I could not get the time off work that I needed to make the trip. 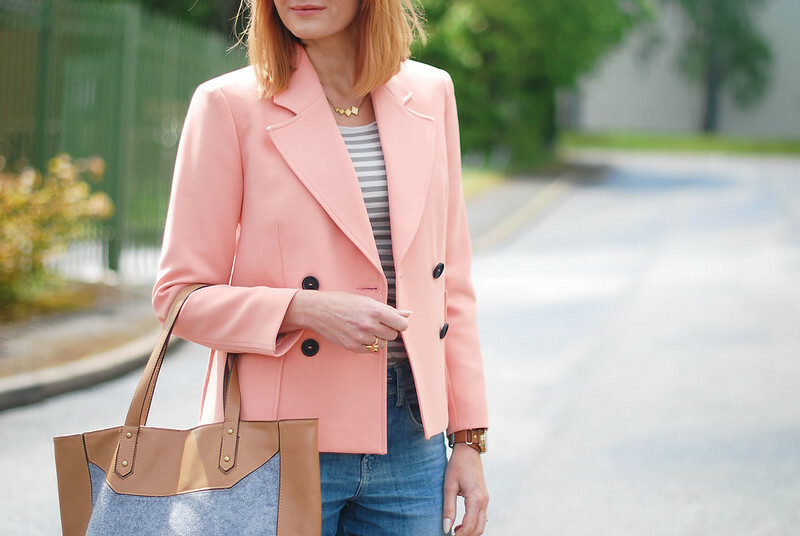 Call me old fashioned, but I do love a smart blazer and this one is adorable as it's peach (one of my fav colours). Your smart/casual look is so easy to wear for so many outings. So sorry I couldn't attend the bloggers meet up. I only hope it doesn't coincide with a work event next time. I've seen Greetje's post of the do and look forward to reading yours. And yes, I do hope you might be able to make the next blogger meet…? It'd be SO wonderful to meet you at last! I just wanted to write exactly the same what Lisa said!! Ok, so I just have to agree. Peach can be a difficult colour but then it may be perfect for others i.e. you! Your jacket is so soft and feminine and I like how you've paired its tailoring with more rugged jeans. Love that look. I've been seeing peach a lot lately. Uh-oh. Heh. Thanks for hosting. Last week's women look dazzling in your Picks lineup. 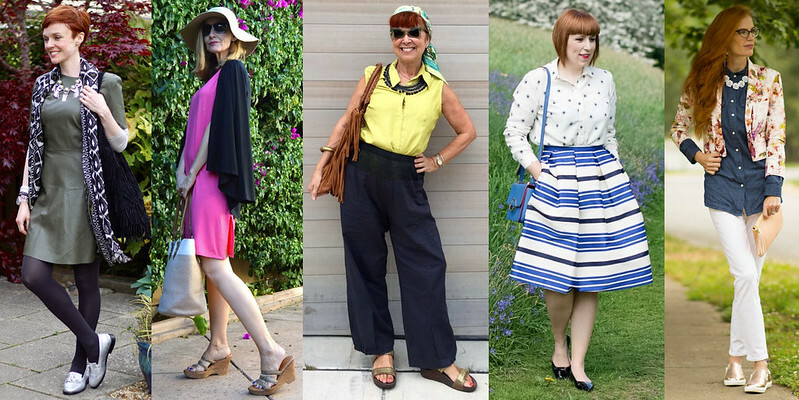 Thanks Melanie – and I'm glad you like the picks of bloggers from last week… they look fabulous as always! That's a great jacket – I can totally see why it's a goldilocks piece. I love that expression! It's the kind of piece that can easily be dressed up or down. So versatile especially in this country when the weather is so unpredictable. Oh thank you thank you thank you for showing off the stars ring again. It looks amazing on you! What a beautiful blazer! Too bad I'm not in London, I'd love to meet the person behind all this fabulous styles!! Aww Sheree what a sweet thing to say – thank you!! I am in love with your blazer! Thanks Vaishnavhi – it's no secret that I adore peach!! I'm not so comfortable in blazers (Hello, broad shoulders), but I definitely love to dress up my favorite pair of boyfriend jeans! I adore the blazer and boyfriend jean combo and sometimes wear it if there won't be too much movement involved in my day (which rarely happens). The peaches are fabulous on you so I understand why you go for that color often! And those mules…Love…I'm so happy your blogger meet up was a success! Aww thanks Shelbee – I often choose BF jeans for "movement" days, myself… So much better than skinnies!! Aww Lisa thank you my lovely!! Yes it is the same one… I'm wondering whether I need to redo my profile pic with everything exactly the same, just the new hair?! Pretty look and your hair is fabulous! Thank you so much Dawn Lucy! I love the color of your blazer! So pretty and so you! 🙂 Great ring & necklace, too! I'd say that definitely a blazer or some kind of jacket is my go-to for an outfit! I'm sure it's a leftover thought from my working days, but I love how it pulls an outfit together! I mean, really, just like your jacket—it adds such panache to yours!! Thanks Jodie – it'll be interesting to see how many people say a blazer is their go-to…!! 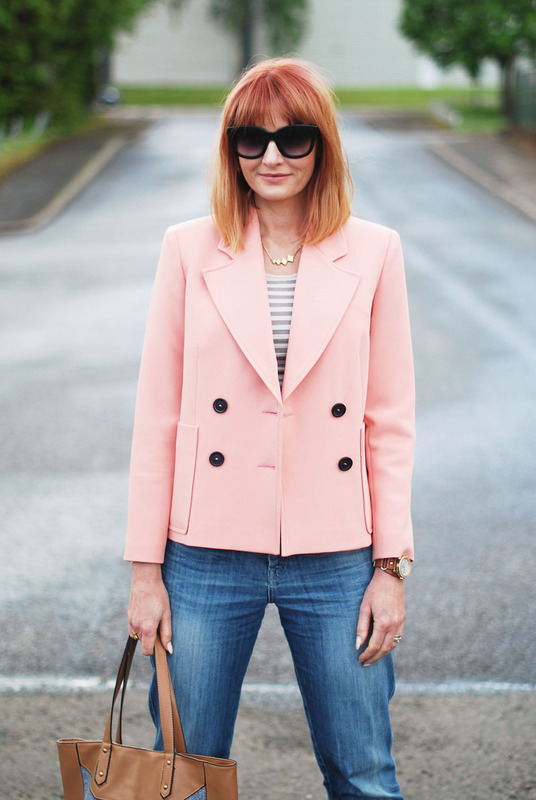 Love the pink blazer – a fun twist on a a classic shape.